Liverpool have reportedly decided against making an approach to re-sign Philippe Coutinho from Barcelona in the near future. The Brazil international enjoyed an impressive five-year stint with the Anfield club before parting ways with them during the winter of 2018. However, he has since been in-and-out of the starting lineup at the Catalan giants and this has spread speculation that he could pursue a fresh challenge elsewhere. Manchester United have already been linked with a surprise move for the attacker and The Telegraph claims that they are unlikely to face competition from Jurgen Klopp's side. There have recently been suggestions that the Reds may consider re-signing Coutinho but that does not appear the case with Klopp focused on signing younger players in the forthcoming transfer windows. 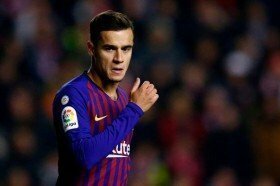 Coutinho has managed to start just 10 league games for Barcelona during the current campaign where he has contributed four goals and two assists in the process.